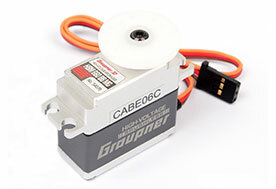 Equipped with all-metal parts, the Graupner HBM 660 BBMG Torque High-Voltage Brushless Digital Servo provides a high level of reliability under extreme conditions with consistent control input performance. 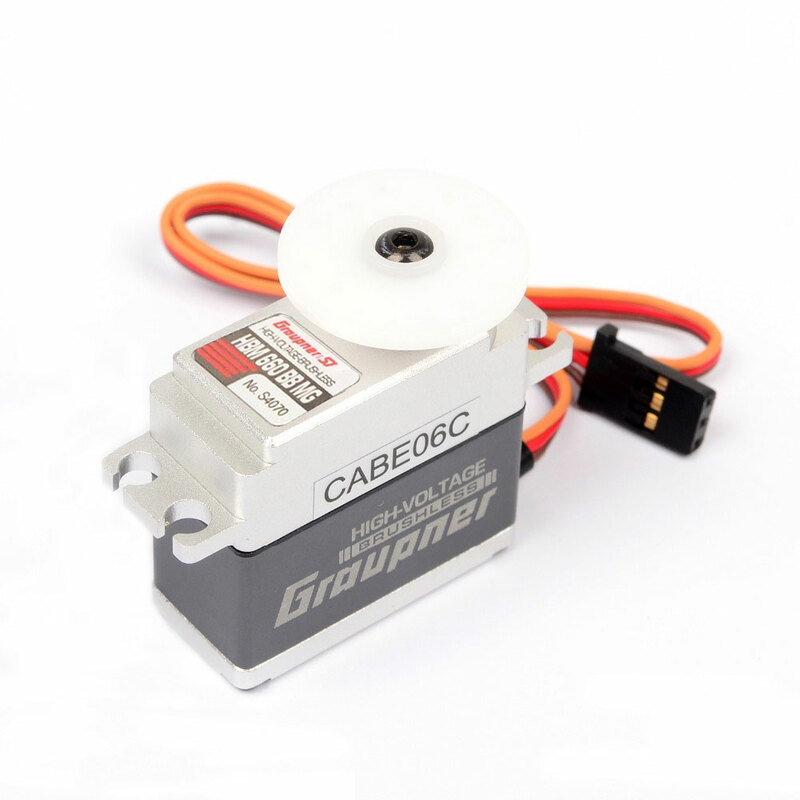 Optimized for high voltage (7.4V), all the HBM servos are specially designed around a high performance brushless motor, precision cut metal gears, metal heat sink and metal case. 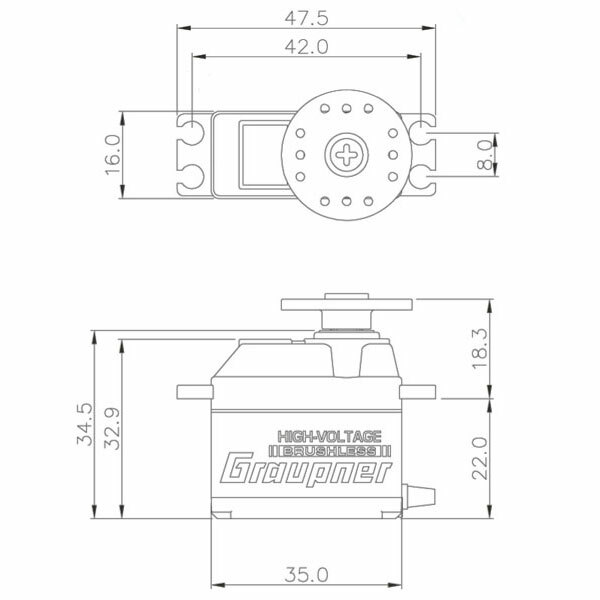 The HBM servos provide speed and holding power with low dead band technology for extra reliability and can be programmed to your unique specifications with our PC-based servo software.